For those under investigation or who have been charged in a white collar criminal case, we provide pro-active, hands on, client oriented representation. We have been defending clients investigated for or charged with crimes such as tax fraud, medicare or insurance fraud, environmental violations, illegal hiring and employment, harboring, money laundering, structuring, bank fraud, forfeiture and many others for over 30 years not only in Iowa but in various states throughout the United States. We have the experience and knowledge to help in a very confusing and difficult time. A special or criminal agent has come to visit unannounced, what do I do? Special, criminal, CID are all terms that refer to criminal agents. These agents investigate criminal cases – not civil matters. They are not interested in collecting money, they are interested in jail terms for the target of their investigation. To determine if you should talk to them, a complete review of the facts and circumstances surrounding their investigation should be made and whether they are investigating you or someone else should be determined. What is a grand jury investigation? A grand jury is a group of citizens selected from the particular judicial district. To charge a person with a crime in federal court, the prosecutor must present the case to the grand jury. The grand jury only hears information presented by the prosecutor and only determines if there is enough evidence to charge a person with a federal crime. Information can be gathered in a federal criminal investigation by using grand jury subpoenas to obtain documents or testimony. The grand jury listens to testimony and reviews documents presented by the prosecutor to determine if there is sufficient evidence to charge a person with a crime. If so, the grand jury returns an indictment which is the criminal charge in a federal case. What is a grand jury subpoena? A grand jury subpoena is issued by federal prosecutors under the authority of the grand jury to obtain documents or testimony. Since grand juries are only involved in criminal cases, the fact that it is a grand jury subpoena means the information sought relates to a criminal investigation. 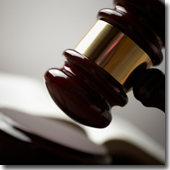 Unless an objection to the subpoena is filed with the court, the subpoena must be complied with. However, compliance or testimony should only occur following a complete understanding of the legal issues and risks involved. I have received a letter from the government informing me I am a "target" of an investigation, what does that mean? A "target" of a criminal investigation is a person that the government is investigating for criminal wrongdoing. Such a designation means the government expects to charge such a person with a crime. The prosecutors identify those who they are not investigating for any crime but who may have knowledge or information relevant to a crime as "witnesses". If prosecutors do not know whether the person was involved in criminal activity or just a witness, the prosecutor describes that person as a "subject". I don’t know of anything I have done wrong but agents are asking questions about me, what does this mean? It depends on the type of agents involved and the nature of the questions. Criminal investigations are conducted without any notice to the persons under investigation. If criminal agents are asking questions about you or your business, inquiries should be made and information should be gathered to determine if they are investigating you or someone else and a complete review of the facts and circumstances surrounding their investigation should be made to determine how to proceed. It is not a matter to be ignored. Agents have arrived with a search warrant, what do I do? A search warrant is a court order which allows the agents to search the place designated in the warrant and seize the property described in the warrant. Warrants are used to obtain evidence in criminal cases and normally only with those who are under criminal investigation. Stay calm and comply with the directions of the agents. Communicate any immediate personal or business needs to the agents clearly and calmly. At the conclusion of the search, the agents should give you an inventory of what they took. Normally, you should not consent to an interview without assuring yourself you fully understand the legal issues involved and the risks involved in proceeding. What procedures should I follow in the event of government authorized searches or raids? In this era of enforced compliance where the Government’s response to perceived violations of various laws (environmental, documented workers, work safety issues, taxation and claims of fraudulent practices (particularly related to claimed insurance or medicare fraud)) is met with a raid in which records are seized rather then a "normal" investigation where records are requested, normal businesses must be prepared to deal with such a possibility. While there is not a great deal that can be done to deal with a raid while it is occurring, there are still important steps that can and should be taken. For specific consequences, see our Procedures in the Event of Government Authorized Searches or Raids. What are the consequences of a Federal Felony Conviction? With the increased emphasis on Federal prosecutions of individuals involved in so called business crimes (often actually violations of various agency rules or regulations) and the fact that most Federal prosecutions involve felony rather than misdemeanor charges, a potential target of such action must understand the collateral consequences of such charges beyond just the threat of prison and a fine. For specific consequences, see our Consequences of a Federal Felony Conviction.